"As we distribute this month’s eAdvance the Chamber is in the final stages of event preparation for the AFL Grand Final Family Day. Corporate box and Grandstand tickets have sold out, but tickets are still available on ‘the Hill’. It’s shaping up to be a great Grand Final Day after two nail biter semi-finals last weekend. Next week we will hold October Sundowners at the Banyan Tree as well as a seminar by member SafeComs on cyber security for business – these events are proving to be very popular and I encourage you to register in advance. I also draw your attention to a short notice event open to members this week in the list of Upcoming Events – following significant interest by Australian business counterparts in Myanmar, Amcham has invited interested AustCham Thailand members to join a seminar on Friday 30 September exploring the challenges and opportunities arising from the end of US Sanctions in Myanmar. On the Chamber news front, at last week’s AustCham Board Meeting Simon Shale advised he would be stepping down from the Board after a recent career move to take up a senior corporate role in the aviation sector. Since 2014 Simon has served as a strong advocate for the Manufacturing Sector and for Eastern Seaboard business. The Board thanks him for his years of service and wishes him the best of luck in his new role. It’s also timely to announce that I will be stepping down as Executive Director at the end of the year after two busy and fulfilling years. Recruitment activity for a new Executive Director will commence shortly with AustCham Board members, Brenton Mauriello, Charles Wrightman and Wayne Williams forming a sub-Committee to manage this process. Last week, AustCham Director Peter Emblin joined the first Trade and Development Regional Forum of the United Nations Conference on Trade and Development (UNCTAD) in Bangkok and provided the following report, “The Forum focussed on how to implement the Sustainable development goals set at the UNCTAD conference in Nairobi earlier this year. Thailand has taken a regional lead on this as the goals are similar in many ways to the sustainable goals outlined by His Majesty the King of Thailand a number of years ago. Another interesting development is the movement of Laos to a single online portal and coordinated legal framework for all Trade and Development related issues (http://www.laotradeportal.gov.la/index.php?r=site/index). Implementation required numerous government ministries and lawmakers to come together in response to public opinion. The Laos approach was held up as a model for other countries in the region. An interesting lesson for Thailand”. " Our Australian-Myanmar Chamber of Commerce counterparts report there has been significant interest from the Australian business community in this informative seminar hosted by Amcham to explore the implications of recent developments concerning the U.S. economic sanctions against Myanmar. 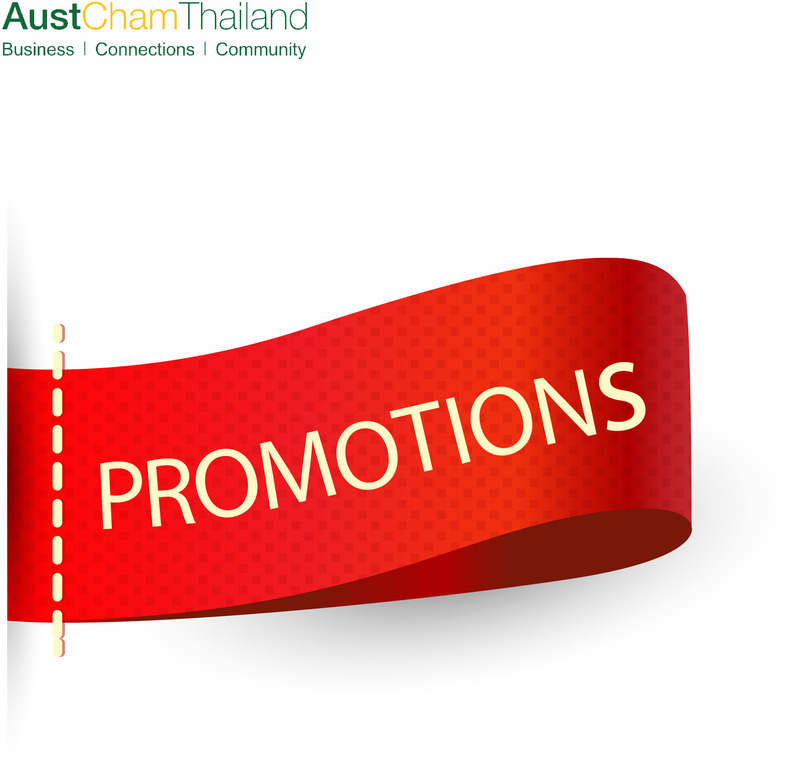 Interested Austcham Thailand members are now invited to join the Bangkok session which will be run this Friday 30 September. AustCham and the Thailand Tigers Australian Football Club are excited the 2016 AFL Grand Final in Bangkok is finally here - the largest event of its kind outside of Australia. Limited seats on the 'Hill' are still available. The Tourism Authority of Thailand (TAT) invites members of the expat community to the “Expat Fair Thailand 2016” to boost the image of Thai tourism, celebrate the vibrant expat community, and encourage everyone to travel more domestically, and enjoy Thailand’s many attractions. Presentation by Bernard Collin, CEO, SafeComs Thailand "How to Avoid and Survive an Attack on Your Computers"
AustCham Thailand invites members and guests to attend a presentation by Bernard Collin, the CEO of SafeComs Thailand, on the topic of "How to Avoid and Survive an Attack on Your Computers". Bernard will discuss the risks faced by business and prevention strategies. AustCham is pleased to invite members and guests to October Sundowners at Banyan Tree Bangkok’s newest sky-high cocktail lounge Vertigo TOO! With stunning views of Bangkok from its vantage location on the 60th Floor. For this special night, the chefs have put together an enticing selection of traditional Aussie pub grub and sweet treats! AustCham would like to invite members and guests to Joint Chambers Eastern Seaboard Networking Evening hosted by the German-Thai Chamber of Commerce (GTCC) at Hotel Baraquda Pattaya. A great opportunity to network on the Eastern Seaboard in a friendly social environment. After a relatively quiet August for markets around the world, September is shaping up to be a much more eventful month thanks to a number of key central bank policy meetings plus the anticipation of a Trump or Clinton US election result. Some district offices in Thailand are now able to issue a Thai Identity Card to foreign holders of the Thai Resident Certificate (Permanent Resident Status). To get more information, please click read more. Thailand’s Immigration Bureau has changed the requirements for personal income tax documents that need to be submitted for long-term visa applications and/or visa extensions. The change applies to visa applications for both the regular process and rapid process at the One Stop Service Center (OSSC). The new Regulations became effective on September 5, 2016. Australia will redouble efforts in its strategic partnership with ASEAN, says newly appointed Australian Ambassador to ASEAN, Her Excellency Elizabeth Duke. Our close friends at the South African Chamber of Commerce have extended an offer to AustCham members with a sense of adventure and a desire to experience the African wilderness. The sample itinerary includes amazing photos of the sights on offer. “Tanzania…From the Serengeti Endless plains to the snow-capped Kilimanjaro and all the way to the immaculate beaches of Zanzibar…This country truly is one of the world leading destinations. Embarking on a safari in Tanzania is a one of a lifetime experience and probably the ultimate African journey. Our « N°1 safari in the World » will have you live the magic of Tanzania and bring home unforgettable memories : massive herds of Elephants in Tarangire National Park, The Great Wildebeest Migration in Serengeti, Ngorongoro Crater and its own ecosystem…Enjoy a private safari with our qualified and multi-lingual expert driver-guides who will make sure you get the most out of your time. Select bush properties will then await in the evening : Out of Africa bush camps located in the heart of National Parks (including award winning Olduvai Camp), coffee farm near the crater as well as chic Grumeti Hills in a private game concession. Fine cuisine served daily whether in the bush or at one our lodges. New Member - Kamala Beach Resort & Hotel Management Co., Ltd.
MontAzure is a joint venture of three of the most prestigious property and hotel investment groups in Asia; ARCH Capital Management (Hong Kong & Shanghai), The Narai Group (Thailand), and Philean Capital (Singapore) part of Pontiac Land Group, which have teamed up to launch Asia's most exceptional resort residential development. Chaophya Park Hotel Bangkok which has become a nonsmoking Green hotel since 2013 located is in the major of shopping places nightlife for leisure, entertainment and business districts with only7 minutes by walking to MRT station - Ratchadapisek also linked with Airport link - Makkasan and BTS – Asok.Well-appointed, 402 guestrooms are started of minimum size from 37 sqm. included12 function rooms with 7 outlets and full facilities, swimming pool, Fitness, Sauna, Spa & Massage and 1,000 Car park spaces by Thai hospitality standard services.